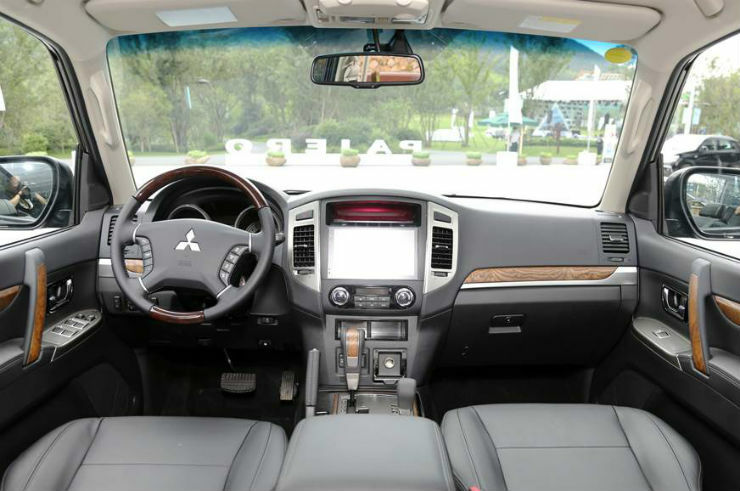 Mitsubishi has revealed a facelifted version of the Montero, which is known as Pajero in the international markets. It is the flagship SUV from the Japanese brand and receives many changes to keep it fresh in the market. 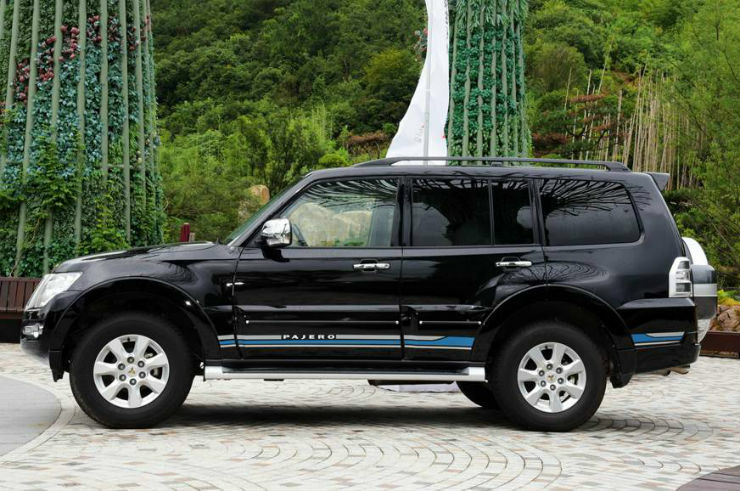 This is the updated Montero that will be launched in the Chinese market soon. Mitsubishi used to sell only Completely Built Units (CBU) in India, which caused the price to jack up. It competed with the likes of Audi Q5 and BMW X5 due to its high price but customers only went for the luxury German brands due to the brand-presence of the cars. The facelifted version for the Chinese market will get a new chrome-finished grille with an increased number of slats, giving it a more premium look. 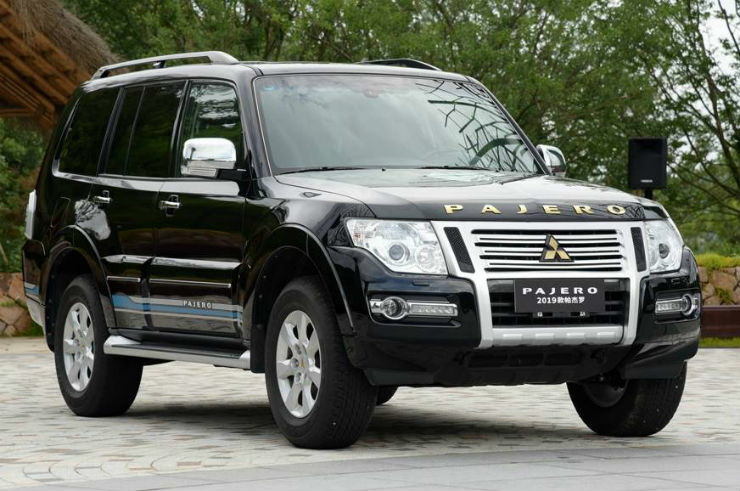 The hood now gets the Pajero namesake in gold-plated fonts and the Mitsubishi logo on the grille is also gold-plated. From the side, it looks identical to the older version of the SUV but it gets new decals to give it a fresher look. At the rear too, the Montero gets a gold-plated Mitsubishi logo and the name. The gold coloured inserts can also be seen on the tail lamps. 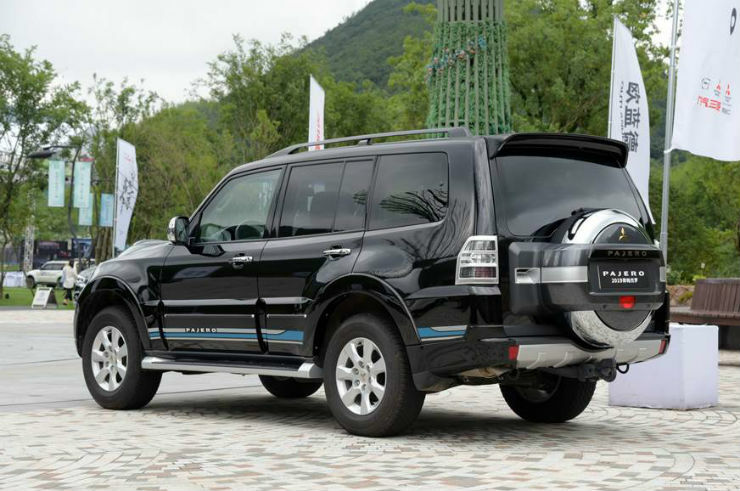 The China-spec Pajero gets the 3.0-litre V6 petrol engine that generates a maximum of 174 Bhp – 255 Nm. In India, Mitsubishi launched the last-generation of the vehicle in 2016. The high price of the vehicle made it a difficult-sell in the market. The SUV was powered by a 3.2-litre diesel engine that generates 192 Bhp and 441 Nm. Even though the vehicle is quite popular in the foreign markets, it failed to attract buyers in the Indian market due to its price. Customers preferred SUVs from the German trio, like the Audi Q5 and the BMW X5 instead. It is not known if Mitsubishi will bring back the updated Montero in the Indian market anytime soon, but it seems unlikely due to the low demand for the brand. Mitsubishi was once quite popular in the Indian market due to the enthusiast-focused cars like Lancer and Cedia. However, due to the lack of service centres and high maintenance cost, the vehicles from the brand never became a grand success in the Indian market. « A Harley Davidson Fat Boy that’s actually a Royal Enfield Classic 350!